The company that owns Corona is getting into Canadian pot. Constellation Brands (STZ) has agreed to pay $190 million for a 10% stake in Canopy Growth Corporation, which sells medical marijuana in Canada and plans to sell recreational pot there when it becomes legal, as soon as next July. Canopy CEO Bruce Linton told CNNMoney that it's the first time a major alcohol manufacturer is investing in cannabis. He said he plans to develop a pot-infused, non-alcoholic drink for the Canadian market. He said it will have zero calories, won't cause hangovers, and is the kind of thing you'd have before going to a comedy club. "You may feel giddy," he said. Constellation CEO Rob Sands, in a statement, called cannabis "an emerging market that is predicted to become a significant consumer category in the near future." But Constellation stressed it has no plans to sell pot in the United States unless it is legal at all levels. Recreational marijuana is legal in eight states and Washington, D.C., and medical marijuana is legal in 29 states, but it's illegal in the eyes of the federal government. Constellation has 76 brands, including Modelo and Pacifico beer, Svedka vodka, and Wild Irish Rose wine. 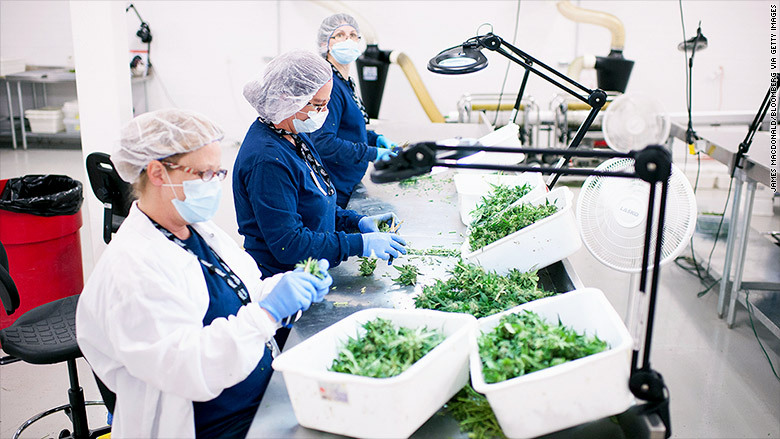 Constellation Brands bought a stake in the Canadian cannabis producer Canopy Growth, pictured here. Canopy is publicly traded on the Toronto Stock Exchange under the ticker symbol WEED. The company produces several brands of medical cannabis, including Tweed, Spectrum and Bedrocan. Canopy says that its Tweed Farms greenhouse is the largest marijuana greenhouse in the world. 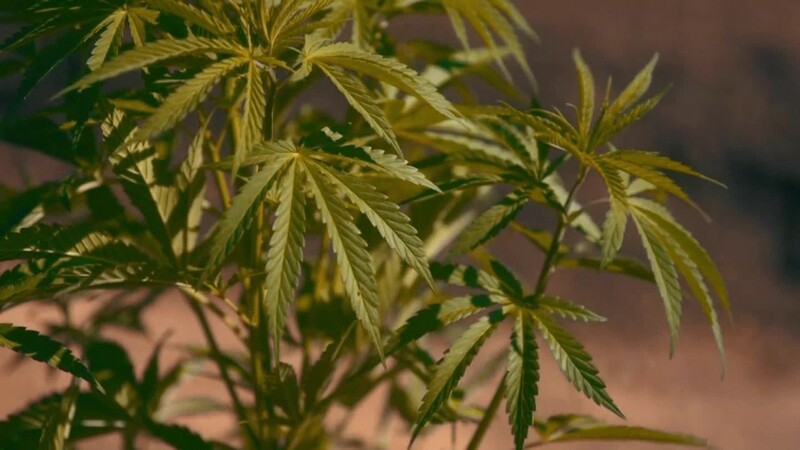 Canopy spokesman Jordan Sinclair told CNNMoney that his company plans to sell recreational marijuana when it becomes legal in Canada "and in any federally legal market opportunities that emerge around the world." Constellation did not return messages from CNNMoney.